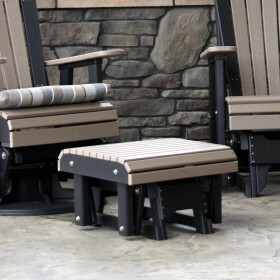 The Luxcraft / Crestville® Classic 2 ft. Glider Chair is constructed from virtually maintenance-free poly. This outdoor poly glider never needs to be sanded, painted or refinished. 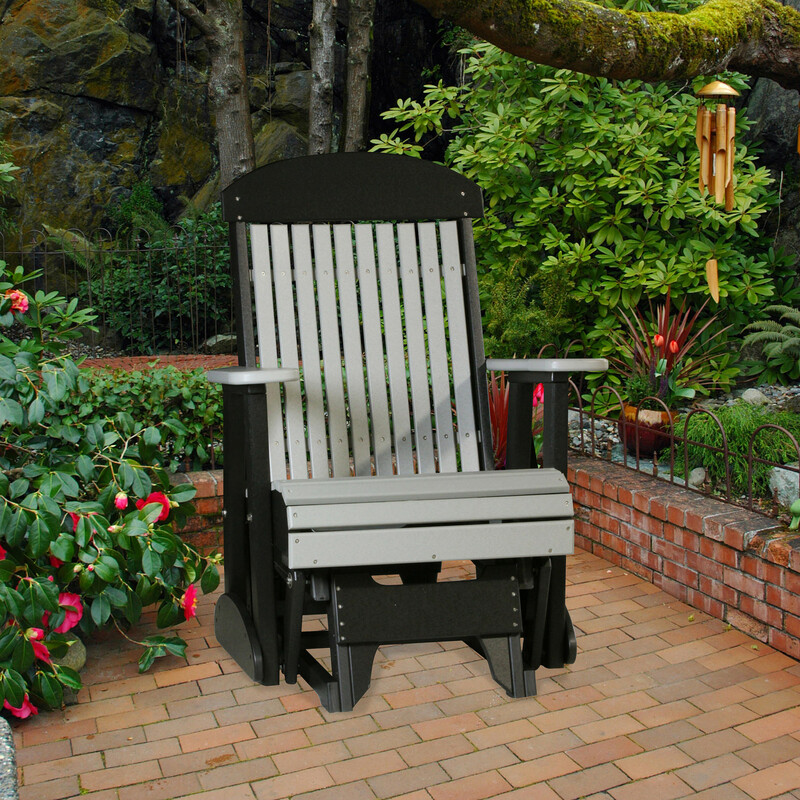 You will love the tall back and contoured seat which make this Luxcraft Classic 2 ft. Poly Glider amazingly comfortable. 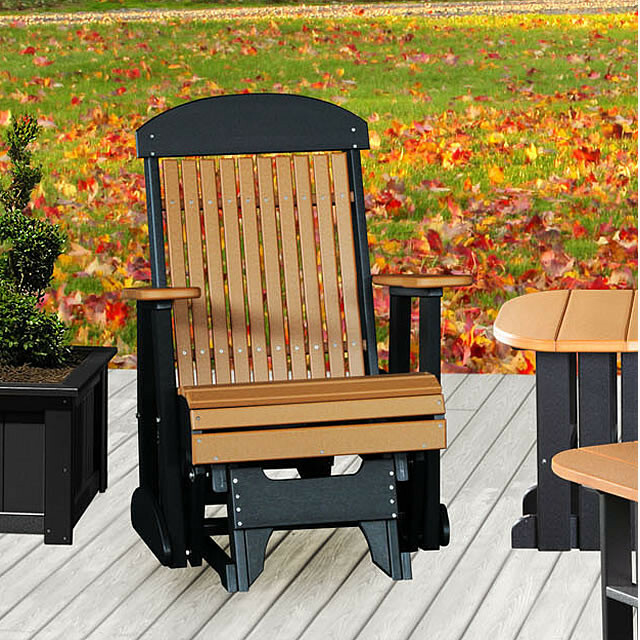 Amish made from the highest quality HDPE poly material, you can enjoy the weather resistant properties of the material which will not rot, corrode, become bug infested or peel. 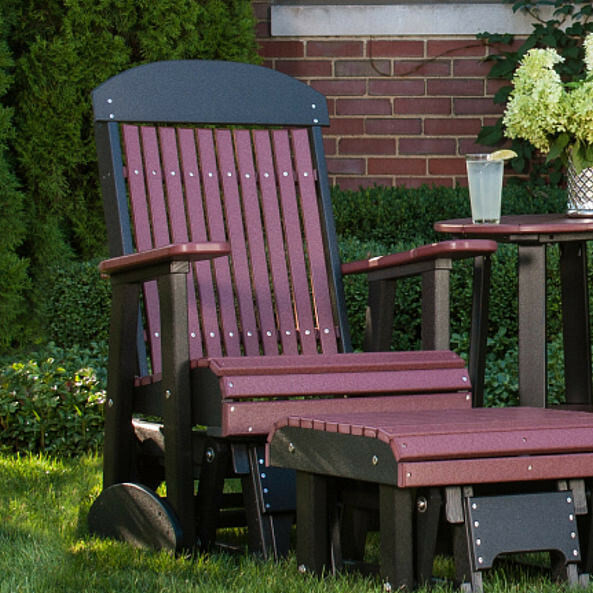 A smooth glide highlights the durable construction of this outdoor poly glider. These are incredibly sturdy chairs. It did take two of us to put them together since it's easier if you have someone to hold pieces and someone else to drill. We also ordered the gliding footstools. The chair and footstool make a great set. Glad I bought the two gliders. 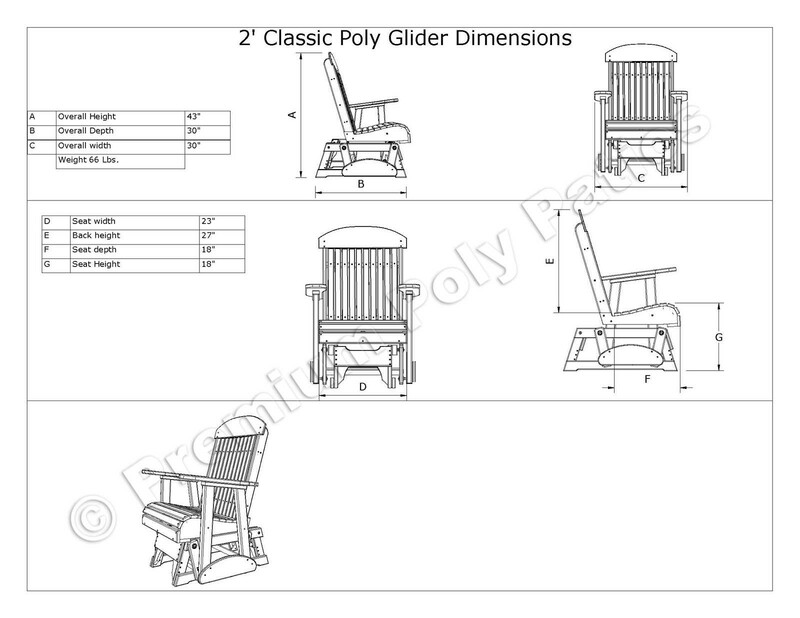 I bought two of the highback glider in the cedar and black. They were easy to assemble and very attractive. We put them together as soon as we received them and have used them every day. It is wonderful to go out on our patio and just sit and read or relax and have an afternoon glass of iced tea. I love them!